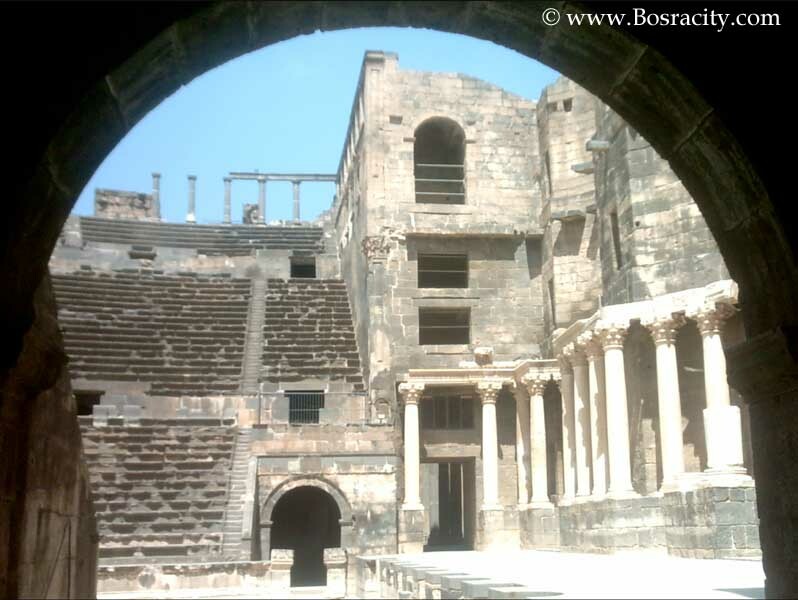 Bosracity.com celebrates the glory, the beauty, the Greatness of Bosra , Bosra the past and the present. The old city of Bosra, successively the capital of the Roman province of Arabia and an important religious metropolis of Byzantine Empire and a caravan centre and stopping-off point on the pilgrim route to Mecca . Bosra is included in the World Heritage List for more than one reason, most notably that it is a site of extreme rarity and of unique aesthetic value which may be associated with an important event in the history of beliefs . Of the city which once counted 80,000 inhabitants , there remains today only a village of striking beauty settled among the ruins .The second century roman theater, constructed probably under Trajan is the only monument of this type with its upper gallery in the form of a covered portico which has been integrally preserved . This unique monument , enclosed by the walls and towers of a splendid citadel , fortified between 481 and 1231 A.D , alone would suffice for the glory of Bosra .But Nabatean and Roman monuments Christian churches , Mosques and Madrasahs all equally as celebrated , are to be found within the half ruined enceinte of the city .The structure of this monument a central plan with eastern apses flanked by 2 sacristies exerted a decisive influence on the evolution of Christian architectural forms , and to a certain extent on Islamic Forms ,as well. 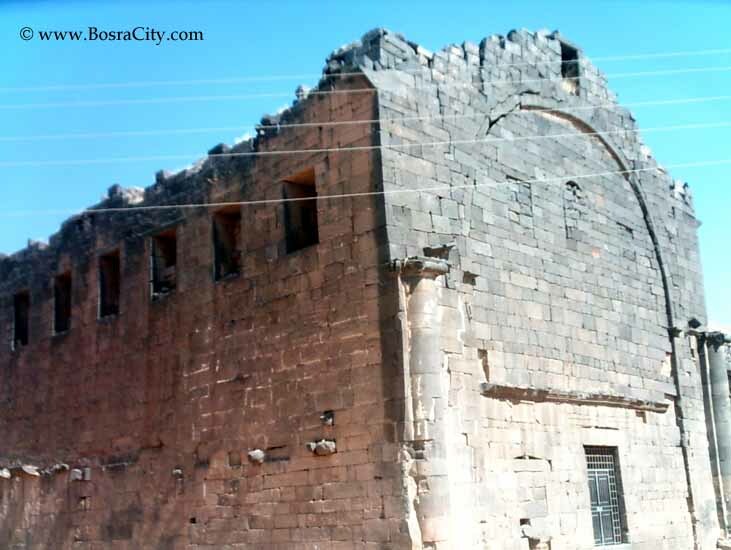 The Mosque of Omar ,restored in 1950 A.D , is one of the rare constructions of the 1st century of Hegira preserved in Syria .The Madrasah Jami Mabrak An-Naqua is one of the oldest and most celebrated of Islam .Bosra is associated with a significant episode in the history of ideas and beliefs . 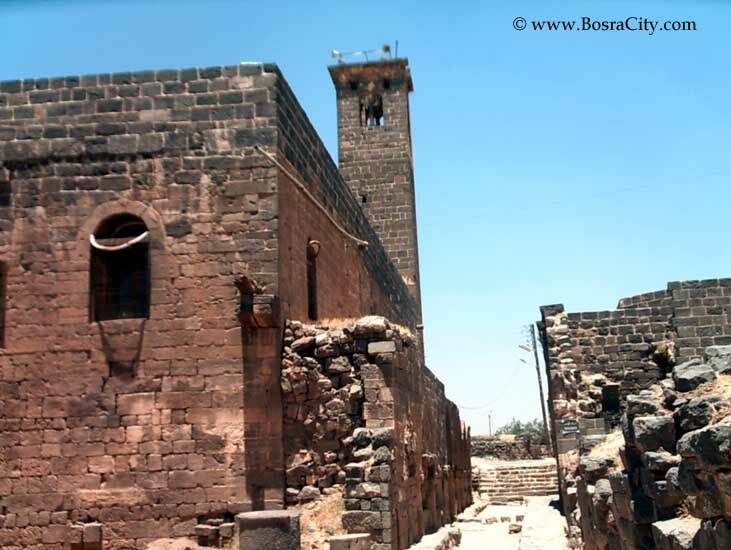 Mohammad (PBUH) came to Bosra and met Monk Bahira When he was young . 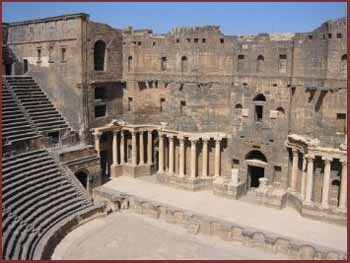 In old semite writings Bosra Means the Fortress Bosra is one of the oldest urban centers of Haurân. 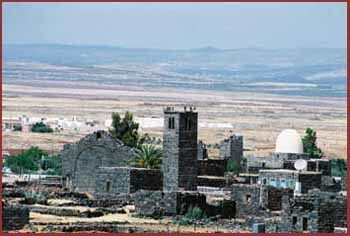 and also, is one of the richest of its archaeological sites. In Bosra, One Civilization succeeds another Back from the earliest stone ages till now. Its name is mentioned in the letters of tell el-Amarna .Arab tribes , Nabateans ,settled in Bosra,and made it their capital . Bosra Flourished during their times .In 105/106 A.D was given the designation Nova Trajana Bosra .